Langlade County is being a hub for the one of the fastest growing trends in agriculture—sustainable farming—and the public is invited to take a look. 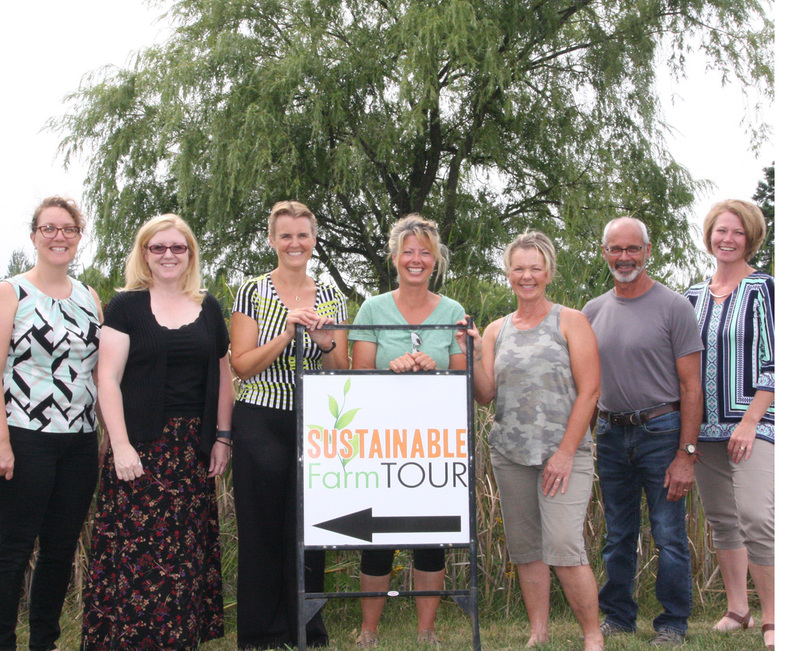 The first Sustainable Farm Tour, featuring six local operations devoted to providing delicious potatoes, dairy, fruits, veggies, maple syrup, and meats, will take place on Saturday, Aug. 25 in Antigo and Deerbrook. Sustainable agriculture is farming in sustainable ways based on an understanding of ecosystem services. Simply put, it is an ecosystem approach to agriculture, avoiding practices that can cause long-term damages. Tours will take place at 9 and 11 a.m. and 2 p.m. at each farm. Participants are asked to arrive 10 minutes prior to the start. Tickets for the day are $5 per person and can be purchased at Sweet Thyme, Green Hen, and Antigo/Langlade County Chamber of Commerce and Visitor Center and at each of the farms the day of the event. Angie Close, Langlade County Economic Development Corporation. Take a hay wagon ride through the pastures and fields to see the cows at work and visit the calves in the barn. Look at the machinery and explore the farm buildings. Bures Family Organic Dairy Farm is located at N6071 Rosedale Rd, Deerbrook. McDougal's Farm is the first Community Supported Agriculture vegetable farm in Langlade County. The McDougals grow 400 different varieties including flowers, herbs, and vegetables. The guided tour will meander through the patchwork type fields and hoop houses, giving visitors an up close look at the growing methods used to keep the farm sustainable and chemical free. McDougal’s Farm is located at W10835 Bluebell Rd, Deerbrook. Visit Canopy Gardens and find out that there's more to hydroponics than meets the eye. Get an inside look at their greenhouse and sort facility, and learn just what it takes to grow their produce. Canopy Gardens is located at N3000 Orchard Rd, Antigo. Igl Farms is a family owned and-operated certified organic farm specializing in organic potatoes and direct marketed grass-fed beef. Join them and learn more about how they grow organic potatoes at Igl Farms. Igl Farms is located at W9689 Cherry Rd, Antigo. Grandview Orchard is an apple orchard managed as an ecosystem without the use of synthetic chemicals. Come see how they use pigs, chickens, and beneficial plants as they make this transformation. Grandview Orchard & Nursery Stock is located at W8086 County Rd F.
Tapped Maple Syrup makes all-natural maple syrup from sustainably managed forests at the base of the glacial moraine near Neva. Come learn about the maple syrup making process, their land management practices, newly installed solar power system, and sample their pure and infused maple syrups. Tapped Maple Syrup is located at N6590 County Rd V, Deerbrook. In addition to the chamber of commerce, collaboration partners include the City of Antigo Destination Task Force Committee, Langlade County Economic Development Corporation, Langlade County Land Conservation, and University of Wisconsin-Extension.